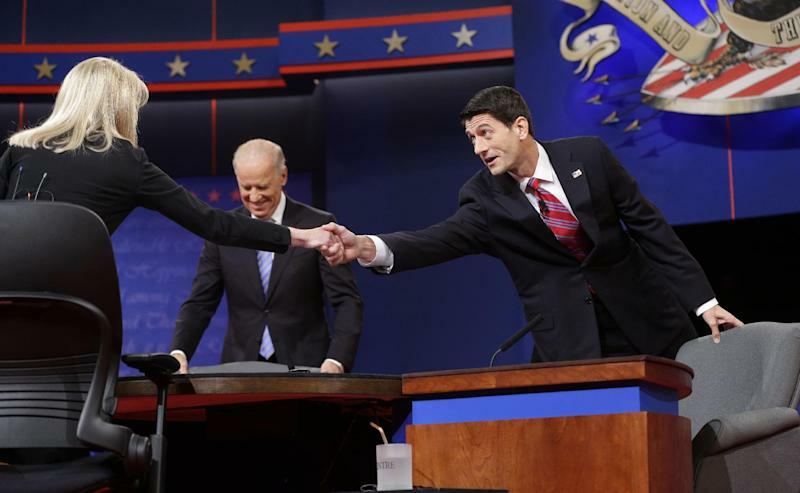 NEW YORK (AP) — ABC's Martha Raddatz took a forceful approach to moderating Thursday's vice presidential debate, winning many positive reviews from instant pundits on social media but some complaints from Republicans. Her performance was a clear contrast to PBS' Jim Lehrer's work in last week's debate between President Barack Obama and Republican rival Mitt Romney. Lehrer let the presidential candidates talk almost freely, while Raddatz sought to be more specific and keep things under control. Raddatz, a foreign policy correspondent at ABC News since 1999, was moderating her first vice presidential or presidential debate. She stopped one exchange on the economy just at the point when Vice President Joe Biden and GOP candidate Paul Ryan had descended into bickering. "I want to move on to Medicare and entitlements," she said. "I think we've gone over this quite enough." She twice pressed Ryan for proposals when the congressman said a Romney administration would work to close tax loopholes that benefit the wealthy. "No specifics again," she said when the Republican did not lay out an agenda. "Can you guarantee this math will add up?" she asked. Later, Raddatz drew Biden's ire during a discussion on the war in Afghanistan by asking him whether the Taliban is taking advantage of the Obama administration's timeline for ending the war. She also questioned whether U.S. troops were being pulled out for political or military reasons. Twitter was alight with praise for Raddatz, including some suggestions that she run for vice president. "Martha Raddatz is no joke," tweeted CNN anchor Don Lemon. "Following up and in charge." But some Republicans suggested Raddatz was being too quick to cut off Ryan and allowing Biden to interrupt the Republican. CNN's count of how much time each candidate spent talking was 41 minutes, 32 seconds for Biden and 40:12 for Ryan. "Martha Raddatz is the worst moderator ever," Fox News Channel host Sean Hannity tweeted. "Maybe next time Paul Ryan should invite her to his wedding." That was a reference to a story that circulated in conservative media earlier this week noting that when Raddatz married a Harvard law school student in 1991, one of the wedding guests was her new husband's fellow Harvard student and future U.S. president: Barack Obama. Raddatz and her husband, Julius Genachowski, divorced six years later. The social media scorecard for Raddatz became more predictable as the debate went on, as Slate magazine noted in one tweet: "Liberals think Martha Raddatz is the best debate moderator ever, conservatives think the worst." 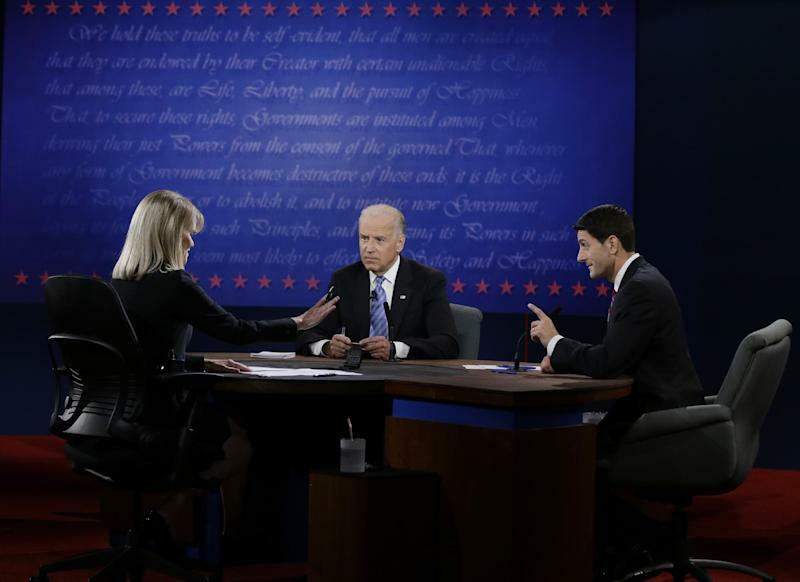 Relief or happiness among Democrats at Biden's aggressive stance in contrast to Obama last week also seemed to affect opinions on Raddatz. Toward the end of the debate, Raddatz introduced the issue of abortion with a personal, general question, asking the two Roman Catholic candidates how their faith affected their work in politics. Her final question was whether either candidate had ever been embarrassed by the tone of the campaign. That drew a rebuke from Karl Rove, whose American Crossroads super PAC helps fund anti-Obama advertising. Rove tweeted that Raddatz's question was "her own personal editorial." ABC is a unit of The Walt Disney Co.